Fortnite could finally be getting a dedicated spectator mode. Content creators have reportedly been invited to private testings sessions for the new feature, and dataminers have discovered game files relating to an as-yet unannounced addition to the game. Players have been reporting a bug in the game’s menu that offered them the option to “join as player” within a solo game, which had already prompted rumours about a spectator mode. After that, an image was posted to Twitter by user BlueNightEdgar, inviting them to a “private testing session” where they would “be playing custom matches to help us test unreleased spectating features.” Their reward? An undisclosed sum in the form of in-game currency, and free food. From there, prolific Fortnite dataminer Lucas7yoshi tweeted evidence of several game files related to spectating within the game’s 7.20 build. Strings mentioned a “spectatebutton,” and the ability to “togglespectator,” neither of which currently exist within the battle royale. Players are able to watch their squad-mates or their killers after they’ve died, but it sounds like these new spectator options are more in-depth. I’m a little surprised it’s taken this long for Epic to add the feature – while I was playing Fortnite, I’d regularly need to wait for my friends to finish a game, and I would have appreciated the option to watch them play. I’d imagine some failsafes would need to be put in place to prevent cheating, but for me the feature is something of a no-brainer. 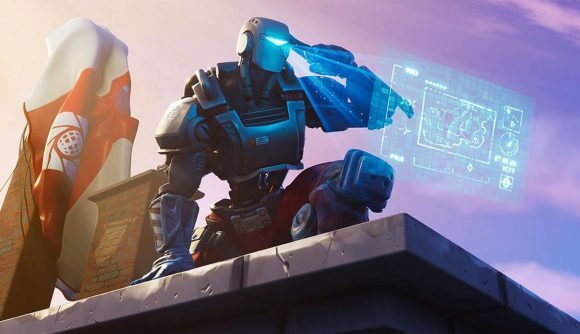 Read more: When’s the Fortnite Season 8 release date? It’s possible that the feature is intended for use in official tournaments and competitions rather than for the player-base at large, but we’ll have to wait and see what shows up in the next patch. In the meantime, we’ve contacted Epic for clarification, and we’ll update this article if we hear more.